But Russia’s military might has not made victory any more viable for its Syrian ally, which is increasingly reliant on Iranian officers and pro-government militias. Nor have Western powers come around. Last year, Mr. Putin, in his first address to the United Nations General Assembly in a decade, called on the world to join him in “a genuinely broad international coalition” to fight extremists. Analysts suspected Mr. Putin sought a grand bargain, in which the United States and European Union would drop sanctions and grant him concessions in Ukraine in exchange for his help in Syria. A year later, no one has joined Mr. Putin’s coalition and no grand bargain appears likely. Russian state media have played up the intervention, presenting it to Russians as proof of their national greatness. But unlike the 2014 invasion of Ukraine, which galvanized support for Mr. Putin, the Syria effort seems to have prompted less public interest. Earlier this month, Russian legislative elections saw record low turnout, indicating deepening apathy. Mr. Putin seems to have settled on two smaller accomplishments — each significant for Syria, but not much more — highlighting the gap between his superpower ambitions and his ability to achieve them. First, the intervention has saved President Bashar al-Assad of Syria from further military setbacks. For much of 2015, he had lost ground to the Islamic State, and to rebels who advanced in part thanks to American-supplied anti-tank weapons. Russian bombing forced opposition groups to hunker down, halting Mr. Assad’s retreat and even allowing him to seize some areas that, while small, make his current holdings more defensible. Russia has also aided Mr. Assad in besieging Aleppo, a rebel stronghold that was bombarded anew on Thursday and Friday. This has forced opposition groups there to turn to extremists for help, making it harder for the United States to arm them or include them in any final peace deal. Still, Genevieve Casagrande, an analyst with the Institute for the Study of War in Washington, said that pro-government ground forces remain too few and too weak to come anywhere near winning the war — a problem no amount of Russian bombing can overcome. The net result: Syria’s stalemate is slightly less unfavorable to Mr. Assad, but it is still a stalemate. Second, the intervention has forced the United States to include Russia in any negotiations. Mr. Putin cannot dictate terms any more than the Americans can, but he is now one of several leaders with effective veto power over any cease-fire or peace deal. This gives him leverage to preserve Russia’s access to its military bases in Syria, and to ensure that any postwar government remains a Russian ally. Both on the battlefield and in diplomacy, Mr. Putin’s best hope is to break even. Even that will require constant Russian involvement to prevent Mr. Assad’s gains from collapsing, which, in a paradox for Moscow, will also delay the settlement that it seeks and deepen the costs. “What we’re going to see is actually more of a protracted conflict,” Ms. Casagrande said, warning that Russia’s involvement had also helped unify opposition groups. Russia’s airstrikes are also backfiring in another way: Initially intended to draw Moscow closer to the West, they have instead alienated a world outraged by attacks on civilians. Because the ground war is led by a patchwork of Syrian and Iranian officers and pro-government militias, Russia has few advisers on the front lines who can call in strikes. It is therefore unable to provide close-fire support during battles, Ms. Casagrande said, and has defaulted to a strategy of bombarding areas it believes are under rebel control. This has led to vast numbers of civilian casualties — and appears to include strikes on humanitarian facilities. Even when the United States has sought limited coordination with the Russian air campaign, the White House has simultaneously signaled an almost visceral opposition to going much further. Russia has avoided miring itself in a ground war in Syria, like the one in Afghanistan in the 1980s, but still appears unwilling to withdraw, as Mr. Putin said he would in March. Leaving now, with no demonstrable concessions, would only damage Mr. Putin’s sought-for superpower image. Mr. Galeotti said that Mr. Putin’s decision to stay in Syria made more sense through Russian eyes. While Americans often see Russia as a resurgent power galloping fearlessly across the globe, he said that Russian security and foreign policy officials — “the people who according to some narratives are busy trying to create a new Soviet Union” — see their country as surrounded and besieged by an aggressive, all-powerful United States. “If I had to think of one word to characterize them, I think it is that they’re scared,” Mr. Galeotti said. This fear is based partly on cold, hard fact. Russian leaders are all too aware that they are isolated, and that their economy has shrunk, by some measures, to less than that of Spain. Spain! But they are also driven by a lingering Cold War paranoia, in which every event — say, the outbreak of civil war in Syria — is presumed to be an American plot aimed at Russia’s destruction. In reality, neither Russia nor the United States has found much success in faraway interventions. But their respective ambitions tend to shrink in ways that prolong their commitments, whether it is the United States settling for 15 years of war in Afghanistan or Russia conducting a year of airstrikes in Syria — likely to be followed by several years more. Is Russia using its relationship with Turkey to build closer ties with US in Syria? However, under close examination one can see that Russia's evolving dialogue with Turkeypursues a much more important strategic goal – to force the US into more cooperation withRussia and make it accept Moscow as an indispensable partner in Syria. That brief US-Russia strategic partnership 15 years ago? New interviews reveal why it derailed. Путин встал за штурвал "Надежды"
Политолог Антон Хащенко: Почему Путин поставил на Володина? Civilians in Aleppo try to cope after the Syrian government and Russian forces launched a new offensive on opposition-held areas on Friday. By perusing personal accounts of people with even the thinnest thread of a connection to power, hackers can find their way to high-level government officials. A Russian mechanized infantry unit has arrived in Pakistan to participate in two countries' first joint military exercise. A strong Putin has meant a weak Russia. Trump's America would be no different. Yahoo News is reporting that U.S. intelligence officials are trying to establish whether a businessman identified by Republican presidential candidate Donald Trump as a foreign policy adviser has held private discussions with senior Russian officials on bilateral issues, including U.S. sanctions. МОСКВА, 24 сен — РИА Новости. Президент Франции Франсуа Олланд призвал власти французского города Кале на севере страны закрыть стихийный лагерь для беженцев, известный как "джунгли", сообщает Елисейский дворец. Беженцы возле венгерско-сербской границы. Warplanes have mounted a new wave of air strikes on rebel-held areas of Aleppo as part of a planned major offensive by the Russian-backed Syrian military. The commander of U.S. and NATO forces in Afghanistan says neighboring Pakistan has not yet placed “adequate pressure” on the Haqqani Network of militants to prevent them from plotting deadly cross-border attacks. Afghan authorities allege leaders of the group, which is fighting alongside the Taliban, are directing “high-profile” attacks, particularly in the capital, Kabul, from their sanctuaries on Pakistani soil, with the covert support of the country’s intelligence operatives. “There is not adequate pressure being put on the Haqqanis" by the Pakistan government, General John Nicholson told a news conference at the Pentagon on Friday. “The Haqqanis operationally have been able to continue to conduct operations inside Afghanistan. They constitute the primary threat to Americans, to coalition members and to Afghans, especially in and around Kabul,” he added. Though he acknowledged the number of attacks in the capital city has fallen to 16 this year compared to 23 during the same period in 2015, crediting joint U.S. and Afghan security measures. Pakistani authorities deny the presence of any sanctuaries and insist counter-terrorism military operations have indiscriminately targeted and uprooted all militant infrastructures on their side of the border, including those of Afghan insurgents. Relations between Islamabad and Washington have been frayed over the past decade because of U.S. frustrations over Pakistan’s alleged unwillingness to act against Haqqanis. Last month, the U.S. administration decided not to pay the Pakistan government $300 million in military reimbursements after Secretary of Defense Ash Carter told Congress he was unable to certify the country was taking sufficient action against Haqqanis and other militant groups on its soil. Ghani in tough spot In his Friday briefing, Gen. Nicholson also confirmed a brother of Sirajuddin Haqqani, the chief commander of the network, is in Afghan custody and has been sentenced to death by a local court. Afghan President Ashraf Ghani is under increasing pressure at home to ensure an early execution of the convict, Anas Haqqani, to deter his brother’s group from inflicting further bloodshed on Afghans. But Nicholson indicated it may take a while before the high-profile trial is concluded, saying the death sentence is currently going through the appeals process. “The trial and the subsequent appeal process is entirely in control of the Afghan government so that is up to them how this plays out… And the appeals process just began, so I would expect this to continue into 2017 because of the appeals process,” he said. The Taliban has warned of “disastrous consequences” if the higher Afghan courts also uphold Anas Haqqani’s death sentence. “The war and its intensity will increase in all parts of the country. A lot of blood will be spilled and the government will be responsible for all of it,” the Islamist insurgency threatened in a recent statement released by its media wing. The Taliban has described the man as “an ordinary student of [a] religious school,” saying he is not involved in any political or military activity, nor has there been any prize money on his head. It also alleges the U.S. military is behind Anas Haqqani’s arrest and the judicial verdict. It is also widely believed that Taliban sources late last month intentionally released video to reporters of a Western couple it has been holding hostage since 2012 to pressure Kabul and U.S. authorities against the possible execution of the Haqqani family member. The hostages include an American woman, Caitlan Coleman, her Canadian husband, Joshua Boyle, and their two children. In the leaked video, the couple has urged their respective governments to meet the demands of their captives to save their lives. 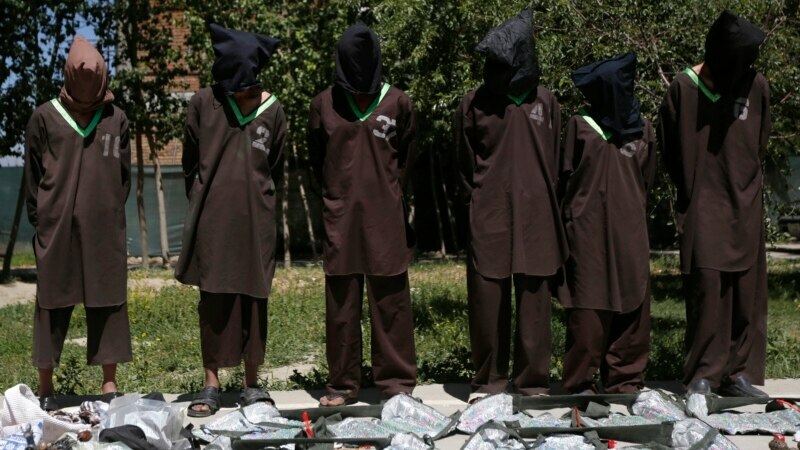 The Taliban is said to have demanded the Afghan government halt execution of its prisoners. The United Nations says that intense airstrikes against rebel-held areas of the embattled city Aleppo have left 1.75 million people without running water, days into one of the most intense sieges of the war. The U.N.'s children's agency, said in a statement that a key water pumping station supplying people in the city's east was damaged in airstrikes, and continuing violence is preventing crews from repairing it. In retaliation, the group said a second pumping station was switched off. UNICEF said it would expand emergency water trucking in response. The group said, "it is critical for children's survival that all parties to the conflict stop attacks on water infrastructure, provide access to assess and repair" the damaged pumping station. 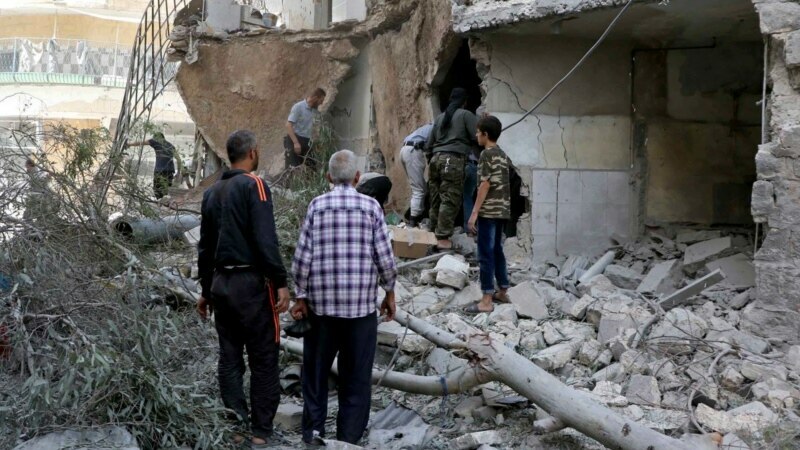 Relentless airstrikes against the rebel-held section of the divided Syrian city of Aleppo continued Saturday, with many buildings destroyed down to the basements, where many people hide during bombardments. Residents said that the ordnance appears to be more powerful than the bombs and missiles used in the past, causing "earthquake-like tremors." The Britain-based Syrian Observatory for Human Rights says at least 25 people have been killed Saturday. The previous day, at least 30 people, including several children were reported to have been killed by Russian and Syrian airstrikes. Witnesses say the surge in airstrikes began late Wednesday after the Syrian government announced a renewed offensive to recapture the entire city. That follows the failure by the U.S. and Russia to salvage a cease-fire that had diffused hostilities for nearly a week. The intense airstrikes are targeting residential areas and buildings used by the volunteer group known as the "White Helmets." Aleppo, the country's second biggest city, has been divided among government troops, rebel militias, Islamic extremists and Kurdish fighters since 2012. One member of the Syria Civil Defense group told the Associated Press that the renewed bombardment is the most intense of the war. Parts of the city have been under a near-continuous siege since July. The FBI investigation looking into Hillary Clinton's breaches of professional conduct has made public another violation, which culminated in “verbal security counselling,” after an aide to the secretary of state left sensitive documents at a Moscow hotel. Hillary Clinton and Donald Trump will suspend weekend preparations for Monday’s presidential debate when they meet separately Sunday with Israeli Prime Minister Benjamin Netanyahu, a key U.S. ally in the Middle East. Netanyahu’s office declined to say where the meetings with the two presidential candidates will take place. The meeting with Trump, the Republican nominee, was arranged after Trump’s campaign staff telephoned Netanyahu’s office after finding out the Israeli leader was scheduled to meet with Clinton, his Democratic opponent. 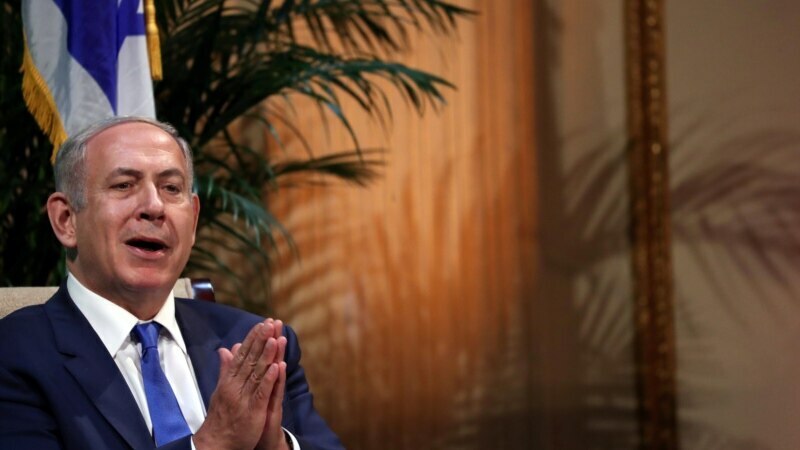 Netanyahu has been in New York City for the past week for the annual United Nations General Assembly. Netanyahu met with U.S. President Barack Obama at the U.N. on Wednesday for what was likely their last time as leaders of their respective countries. Netanyahu and Obama ended their meeting on an amicable note after a tense seven year relationship marred by disagreements over issues such as Iran’s nuclear deal and the Middle East peace process, matters that the winner of the November presidential election will likely grapple with. Before Clinton’s Sunday meeting with Netanyahu was scheduled, she had intended to visit the southeastern city of Charlotte, North Carolina, which has seen successive nights of protests following the controversial fatal police shooting Tuesday of an African American man. Clinton postponed the trip, however, at the request of Charlotte Mayor Jennifer Roberts, who expressed a desire to devote all of the city’s resources to restoring normalcy. Trump reportedly considered a visit to Charlotte on Tuesday but has also decided to delay it. Monday debate Trump and Clinton are temporarily winding down their activities on the campaign trail in order to prepare for Monday's debate. Trump is scheduled to make one campaign appearance Saturday in Virginia, while Clinton is not scheduled to appear at a campaign event until Oct. 5. Monday's presidential debate, the first of three, will show both Clinton and Trump on the same stage together for the first time. The televised debate will be watched by tens of millions of viewers who will scrutinize both candidates for strengths and weaknesses. Clinton and Trump are taking much different approaches to their preparations for the debate, which is expected to be the most widely watched since Jimmy Carter and Ronald Reagan squared off in 1980. Clinton campaign staffers say she is cramming on a thick portfolio of information that has been compiled after months of research on Trump. Trump is taking the non-traditional approach, shunning briefing materials in favor of viewing Clinton videos and honing ideas into short responses. With his theme of making America great again, Trump hopes to seize an opportunity to further narrow the polling gap with Clinton, who has retained her advantage in most national polls, despite signs of slipping support. Former rival endorses Trump Trump will go into Monday’s presidential debate bolstered by the surprise endorsement of former Republican rival Ted Cruz. “After many months of careful consideration, of prayer and searching my own conscience, I have decided that on Election Day, I will vote for the Republican nominee, Donald Trump,” the Senator from the southern state of Texas said in a statement on Friday. Cruz and Trump exchanged harsh words during the presidential primary race. Cruz once called Trump a “pathological liar” and “utterly amoral.” Trump would repeatedly deride his former opponent as “Lyin’ Ted.” Cruz’s endorsement of Trump is widely perceived as an attempt to unite a divided Republican Party less than seven weeks before Election Day. Indian Prime Minister Narendra Modi has accused Pakistan of trying to destabilize Asia by exporting terrorism while vowing to work to isolate it internationally. Slamming Pakistan as an exporter of terrorism, Indian Prime Minister Narendra Modi on Saturday accused his country's South Asian neighbor of trying to destabilize Asia and vowed to isolate it in the international community. These were Modi's first public comments since a terror attack on an Indian army base heightened tensions between the two countries. They were made at a rally of his Bharatiya Janata Party in the southern Indian city of Kozhikode. "People of Pakistan should question their leadership on why, when both countries gained freedom together, while India exports software to the world, Pakistan exports terrorists," he said. Alluding to Pakistan, he said that while all Asian countries were working to ensure that the 21st century belongs to Asia, there was one nation working to ensure that this would not happen. Modi named Afghanistan and Bangladesh as other countries in the region that were also suffering because of terrorism emanating from Pakistan. The hard-line leader has been under pressure to give a tough response to the attack that killed 18 soldiers at an army base close to the the border with Kashmir. India blamed the attack on the Pakistan-based Islamic militant Jaish-e-Mohammad group. Islamabad strongly denied any involvement and said India had not provided proof to back its accusations. Rhetoric cools While the Indian leader spoke in tough language directed at Pakistan and vowed not to bow down in the face of terrorism, he also toned down the rhetoric from some leaders in his Hindu nationalist party who had raised questions about the possibility of a military escalation between the rivals. 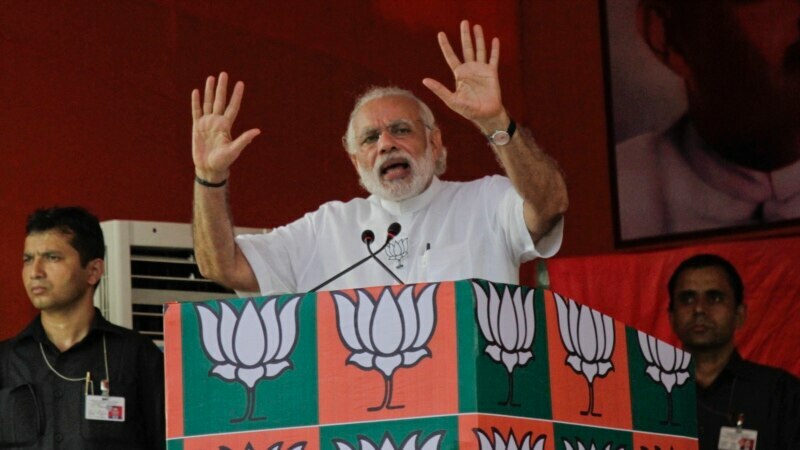 Modi said he would mount a global campaign to diplomatically isolate Pakistan. Saying he wanted to talk directly to the people of Pakistan, Modi said, "If the two countries have to wage a battle, then we must battle to end poverty, unemployment and illiteracy and see who wins." Analysts say India wants to avoid a military escalation partly because of the restive situation in Indian Kashmir, where India has faced widespread civilian unrest for two months. Pakistan has also said it will retaliate against any strikes on its territory. India blames Pakistan-based militant groups of fomenting unrest in Kashmir and mounting terror attacks in India, while Pakistan accuses Indian security forces of widespread human rights violations in Indian Kashmir. The Himalayan region is divided between the two countries and has been the trigger of two of their three wars. President Bashar al-Assad’s troops have tightened their siege of Aleppo, after another 24 hours of intense bombardment that left dozens dead and nearly 2 million without water. A barrage of bombs has been dropped on the city since Thursday when Assad, along with his Russian backers, abandoned a shaky ceasefire and government forces launched a new assault on the city that was Syria’s largest before the war. Vladimir V. Putin has won Moscow a seat at any table where Syria’s future is debated. But his drive for renewed recognition as a superpower remains unfulfilled. Will Russia-Pak joint drill alter Moscow-Delhi ties?